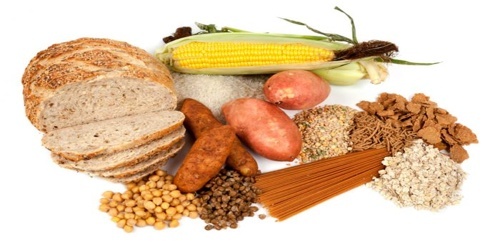 Carbohydrate is any of a large class of organic compounds consisting of carbon, hydrogen, and oxygen, usually with twice as many hydrogen atoms as carbon or oxygen atoms. 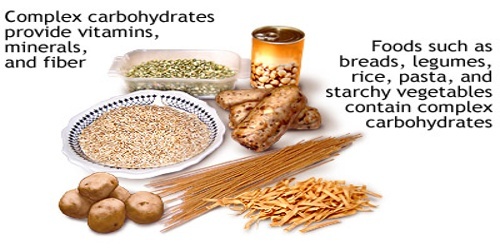 Carbohydrates are produced in green plants by photosynthesis and serve as a major energy source in animal diets. It is a biological molecule consisting of carbon (C), hydrogen (H) and oxygen (O) atoms, usually with a hydrogen–oxygen atom ratio of 2:1 (as in water); in other words, with the empirical formula Cm(H2O)n, where m could be different from n.
There are three macronutrients: carbohydrates, protein and fats. Macronutrients are essential for proper body functioning, and the body requires large amounts of them. All macronutrients must be obtained through diet; the body cannot produce macronutrients on its own. 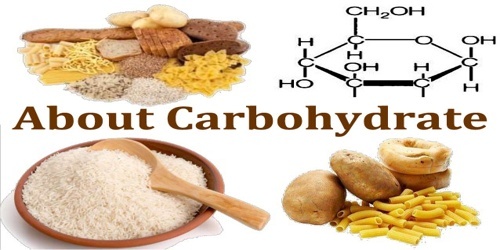 Carbohydrates are called carbohydrates because the carbon, hydrogen and oxygen they contain are usually in the proportion to form water with the general formula Cn(H2O)n. Carbohydrates often display chemical groups such as: N-acetyl (e.g. chitin), sulphate (e.g. glycosaminoglycans), carboxylic acid (e.g. sialic acid) and deoxy modifications (e.g. fucose and sialic acid). The energy produced by carbohydrates is 4 calories per gram. Proteins also provide 4 calories per gram. Fats are high-cal; they provide 9 calories per gram. A typical monosaccharide has the structure H–(CHOH)x(C=O)–(CHOH)y–H, that is, an aldehyde or ketone with many hydroxyl groups added, usually one on each carbon atom that is not part of the aldehyde or ketone functional group. 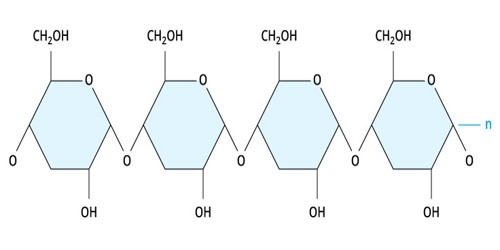 Examples of monosaccharides are glucose, fructose, and glyceraldehydes. However, some biological substances commonly called “monosaccharides” do not conform to this formula (e.g. 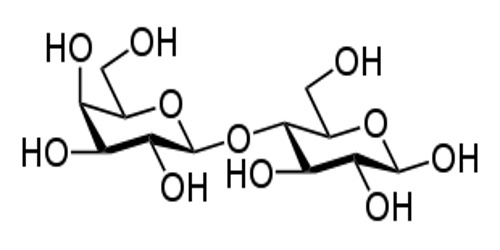 uronic acids and deoxy-sugars such as fucose) and there are many chemicals that do conform to this formula but are not considered to be monosaccharides (e.g. formaldehyde CH2O and inositol (CH2O)6). Carbohydrates provide fuel for the central nervous system and energy for working muscles. They also prevent protein from being used as energy source and enable fat metabolism. Carbohydrates are also important for brain function. They are an influence on “mood, memory, etc., as well as a quick energy source.” In fact, the RDA of carbohydrates is based on the amount of carbs the brain needs to function. Carbohydrates provide energy required for our daily activities. Apart from providing energy, they also have other benefits. Provide Energy – All our activities need energy. Even a simple activity like walking or even breathing needs energy. The main source of energy required for our daily requirements comes from glucose. The source of glucose is from the starches and sugars we eat. Starches and sugars get broken down to simple sugar with help of insulin during the process of digestion. Glucose is then enters the cell wall. The extra sugar available from food gets stored muscles, liver, or other parts of our body. This then gets converted in fat later. Weight Loss – Though carbs are often blamed for weight gain, the right kind of carbs can actually help us lose and maintain a healthy weight. This happens because many good carbohydrates, especially whole grains and vegetables with skin, contain fiber. It is difficult to get sufficient fiber on a low-carb diet. Dietary fiber helps us to feel full, and generally comes in relatively low-calorie foods. Prevent Diseases – The fibrous food provides our ammunition for fighting certain diseases like type 2diabetes and obesity. Fiber also helps indigestion and keeping the cholesterol and the heart diseases under control. The fiber can be obtained from whole grains and dietary fiber. Exercise control and proper intake of calories can prevent many diseases like type 2 diabetes and heart related problems. Low fat, low cholesterol carbs can eliminate or reduce heart related diseases. Carbohydrates may be important to mental health. People on a high-fat, low-carb diet for a year had more anxiety, depression and anger than people on a low-fat, high-carb diet.